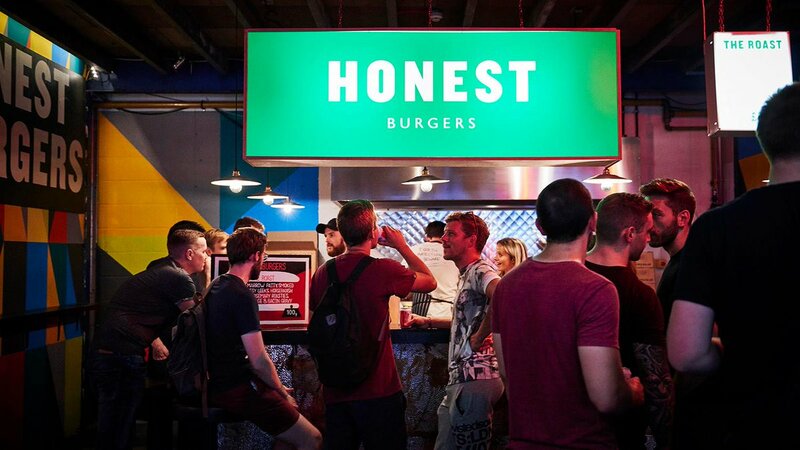 Burgers are often not an option for those avoiding gluten, and the buns are even more problematic, but at Honest Burgers everyone can get involved. 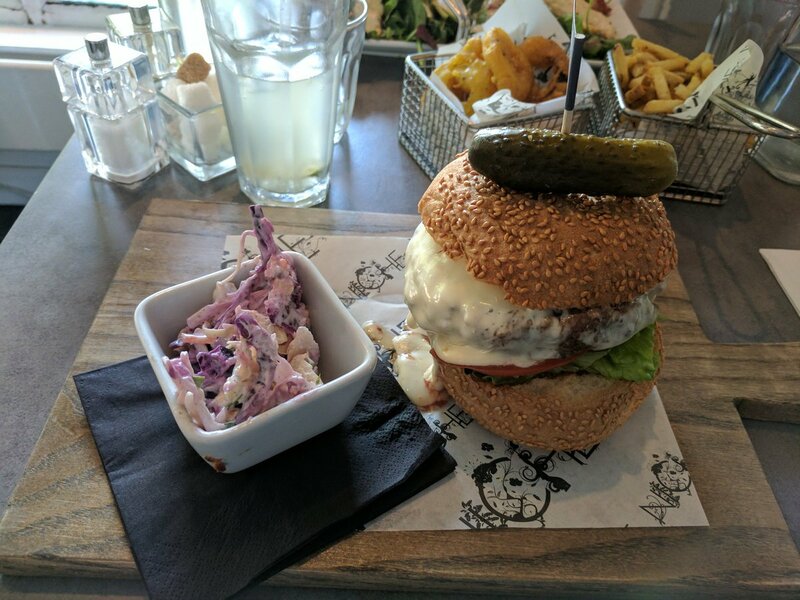 All of the burgers can be requested to be gluten-free (yep, both patty AND bun - excellent news for coeliacs) and you'll be hard pushed to taste the difference, such is its softness and great texture. Not only that, but all sides and sauces are also made using gluten-free recipes, from the crispy onion rings to the now-legendary rosemary salted chips. That calls for a gluten-free Daura Damm lager to celebrate with, we think. Pasta without gluten is a tricky one to get right, so we're more than pleased to see that Carluccio's has developed and entire gluten-free menu. The secret? Corn and chickpea flour, which goes into nailing such pasta treats as creamy chicken and shiitake in a white wine sauce and the ever-present penne giardiniera - though sadly you'll have to eschew the spinach balls. Top and tail with crunchy bruschetta to start and oozing chocolate pudding to finish. An overall solid high-street lunch staple on the coeliac scene and it's worth noting Carluccio's is pretty wised up to dairy-free items too, should you require. This is our coeliac (and dairy-free) friend's favourite pizza place. Hovering somewhere between being a straight deli and a cosy pizzeria The Salusbury Foodstore in Queen's Park scores even more thanks to its delivery option - exceptional gluten-free pizzas in the comfort of your own home should not be underestimated. 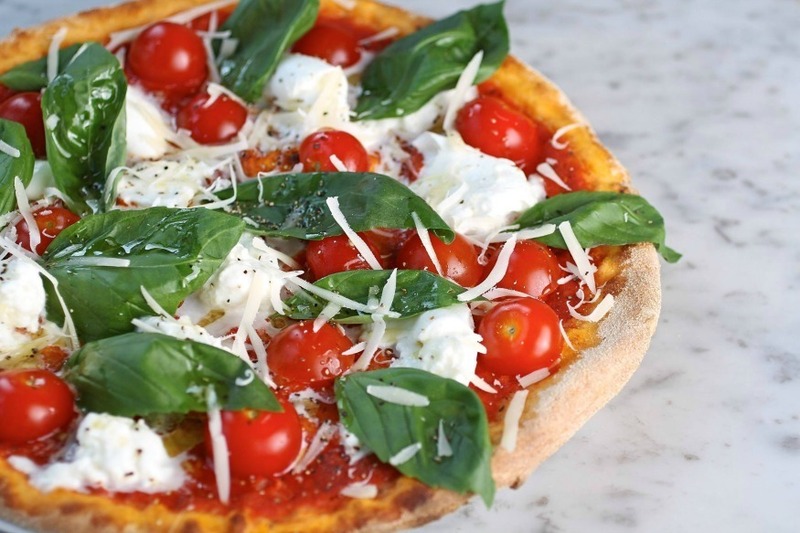 Any pizza on the menu can be made with a gluten-free base for £2.50 extra and the trick is using corn, polenta and rice flour in the place of gluten which forms a thin, crispy, wood-fired base. Even gluten-eaters prefer it, they say. We agree. The authentic Italian toppings including marinated artichokes, Parma ham, nduja, roasted veg and more mean that you'll definitely be coming back for more. 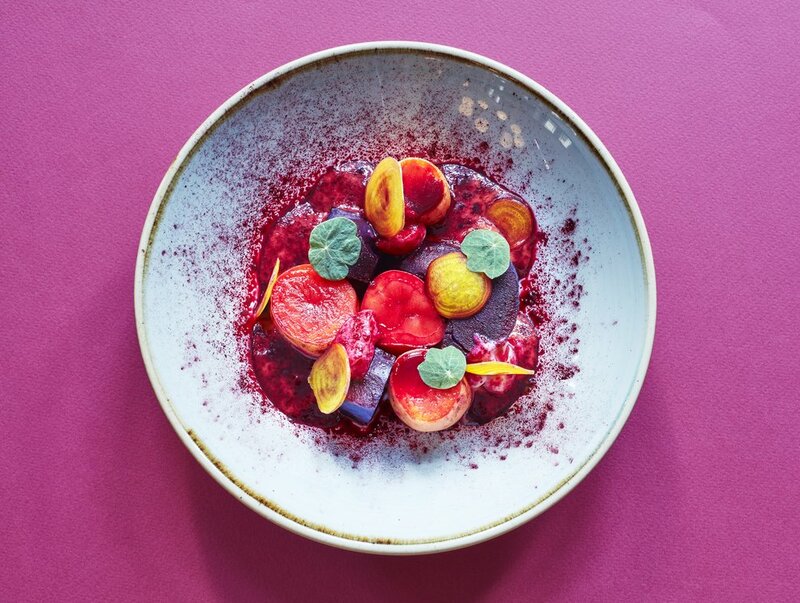 If you're thinking of heading to London's most renowned 24/7 sky-high restaurant then you'll be gratified to learn that you'll have plenty of choice once you're up among the clouds. There are loads of naturally gluten-free menu items, plus a seriously switched-on kitchen which is happy to make almost anything suitable if there's something you particularly fancy. Take your pick from the current gluten-free offering of smoked eels, goat meatballs, whole-roasted chicken and maple caramel apples (probably not to eat all together though). 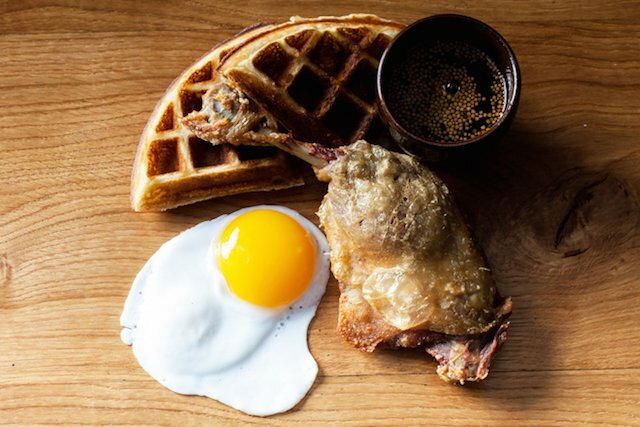 Thrillingly, the eponymous - and dribble-inducing - duck topped waffle can also be whipped up to order for gluten-dodgers. One for a special occasion, definitely. This completely gluten-free restaurant is really up there in terms of inclusiveness. In fact, it's so good that at times it's hard to tell that what you're eating is all free-from. Eschew the ridiculous "rabbit food" stereotypes and bring your gluten-eating mates along for the ride – they'll be more than happy to join you. There's a lengthy menu of seasonal, modern dishes following a casual, bistro-like vibe that suits its Islington location. You'll find anything from comforting sausage and mash (beef and pork oak-smoked, flavoured with paprika and treacle) to an impressive 'NFC' aka buttermilk fried chicken for all. Don't leave without trying the drool-inducing parmesan and cheddar doughnuts - it's not often you'll find those with a gluten-free label, after all. 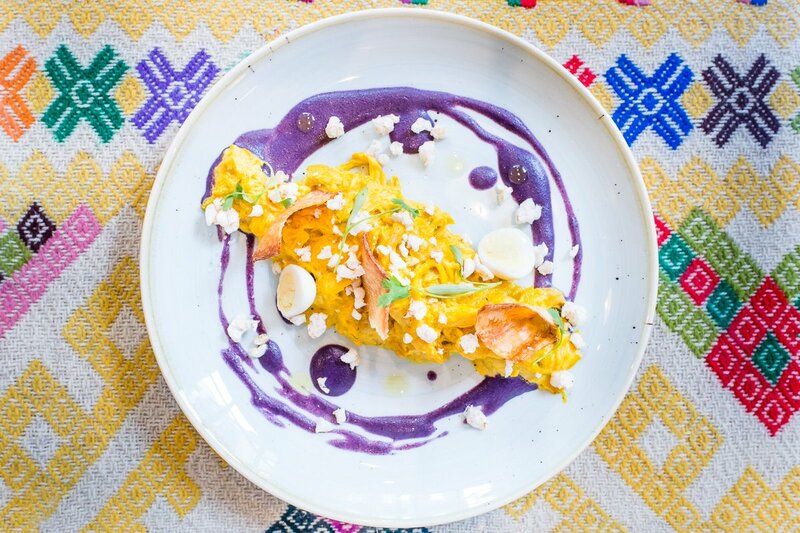 This Andes-inspired Peruvian joint in Shoreditch is well known for its tremendous ceviche dishes (it is part of the acclaimed Ceviche restaurant group, after all) and thankfully four of the five on the menu are naturally gluten-free. Choose from sea bass with goldenberry, avocado and sweet potato and the yana ceviche of yellowfin tuna, with ponzu tiger's milk. And if you're not in the mood for ceviche then you'll find that most of the menu will accommodate coeliacs. Try the skirt steak with spiced potato puree or braised aubergine burger with quinoa tacu patty for some serious free-from wow. 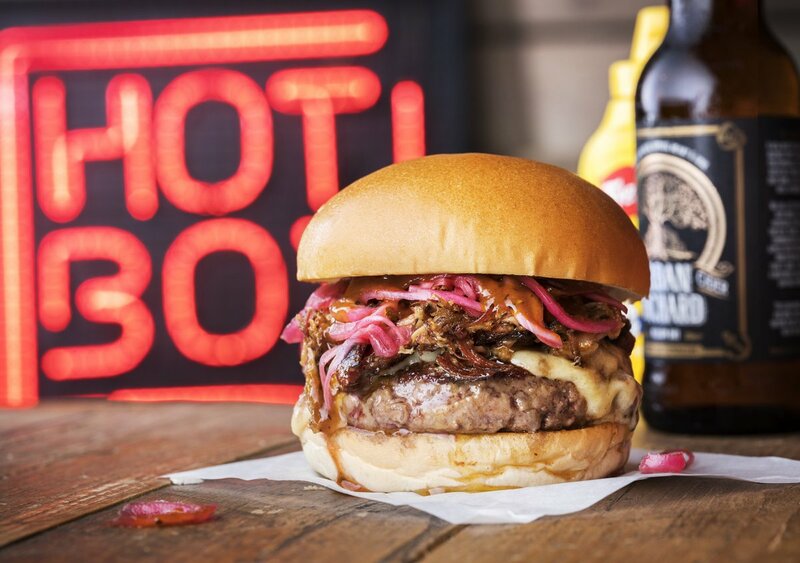 There's another site in Notting Hill, as well as a smaller joint ideal for take-outs in Piccadilly. Over in the City? Combine some pretty fab cocktails with a spot of gluten-friendly lunch at The Trading House. 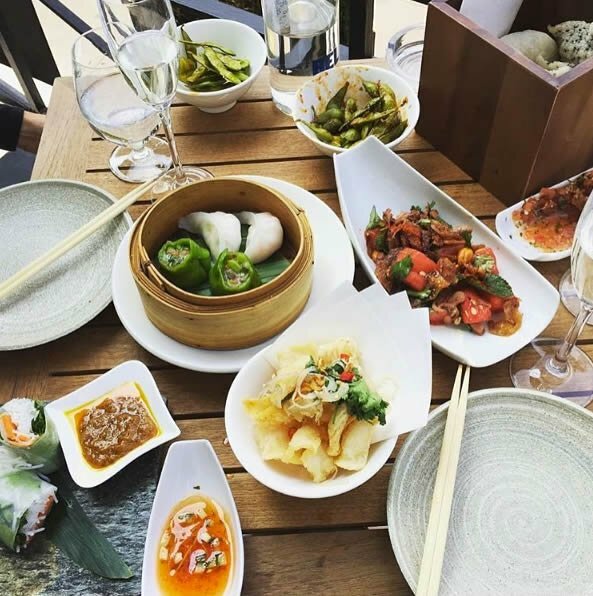 The dedicated non-gluten menu is particularly suited to carnivores with meat-heavy dishes like duck leg, sirloin steak and pan-fried sea bass all making an appearance. Three types (three!) of gluten-free chips are also on offer. The real star of the show though, is the amazing hanging kebab. Succulent, well marinated chicken with garlic butter, sweet chili and ginger or salt and pepper pork belly served Portuguese style hanging from a skewer need to be tasted. And those cocktails? Put the mixologists to the test with peach and cardamom mojito or apricot and jasmine daiquiri. 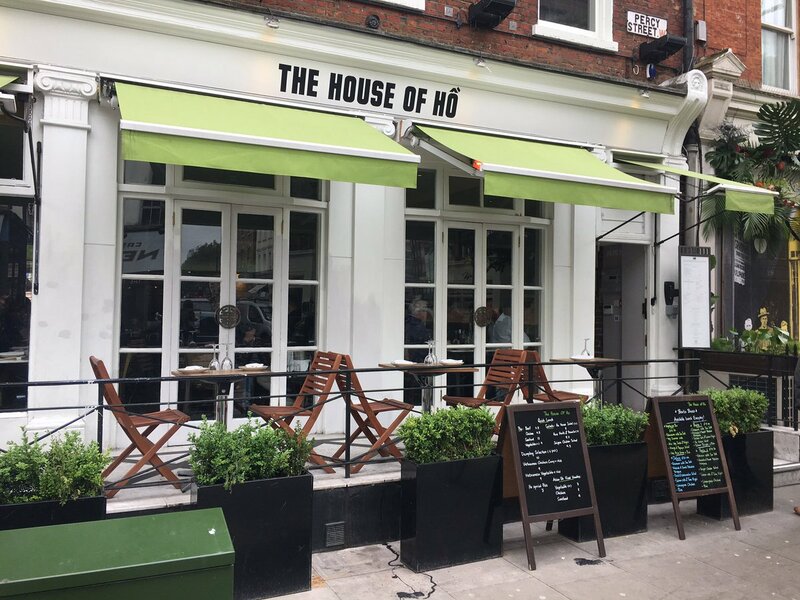 Pho is always a good idea for a healthy, warming and tongue-tingling lunch, so Fitzrovia's House of Ho with its special gluten-free menu is somewhere to keep in mind. Vietnamese food from celebrity chef Bobby Chin is quite a treat and in particular the bowls of fabulous, steaming pho. Featuring the traditional, deeply flavoured homemade broth, special rice noodles made from scratch and topped with a choice of meat, fish or veg, all come spruced up with fresh, zingy Asian herbs, chillies and spring onions. You can easily go vegan too. Service is slick and speedy, making it an ideal working lunch destination. Healthy types should take a glance at St Pauls' Simple Health Kitchen - there's one in Baker Street too - for a sparkling array of wholesome salads and an altogether balanced lunch of protein pots, virtuous puds and a nice line-up of cold pressed juices. Much of it is gluten-free, with a fair amount of veggie, vegan and various free-from options too. They seek to prove that healthy food does not have to be boring, and with dishes like turkey and cranberry burger, cauliflower rice with peas and peri peri chicken on the menu, we think they've gone and done it. Great gluten-free options at this poke and matcha bar in Fitzrovia. Although there are a couple of gluten-free signature bowls, build-your-own options really give you the ultimate flexibility to build the poke bowl of your dreams. Both bases - black and white rice or waistline-friendly courgette noodles - are without gluten, as are toppings like salmon and tuna sashimi, poached salmon and fried tofu. Tombo uses a gluten-free soy sauce, mixed with wasabi for a bit of a kick, to spice things up, or you can opt for a mellower BBQ miso sauce if you prefer. Further venues can be found in Soho and South Kensington.